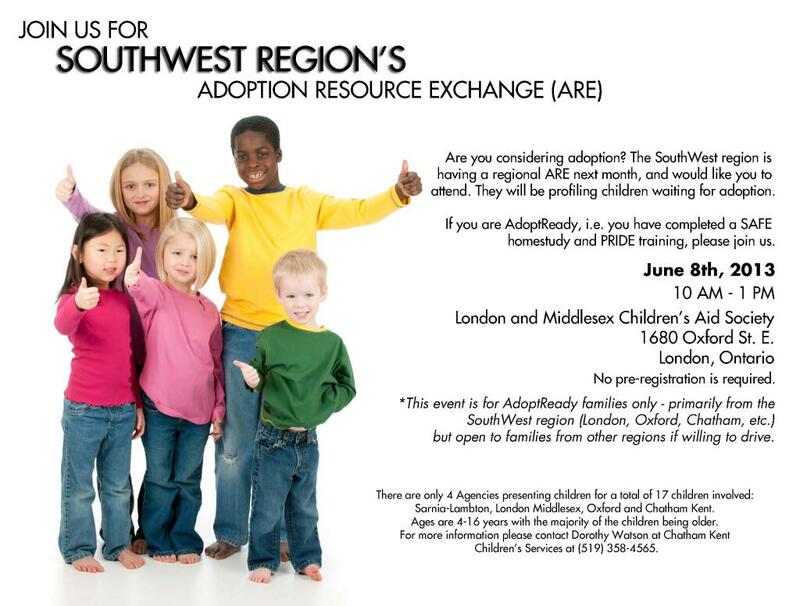 A mini Adoption Resource Exchange (ARE) on Saturday, June 8th for those in the London Ontario area. It’s a very small ARE; only 17 children will be profiled from 4 area agencies. Not surprisingly, although the age range spans from 4-16 years old, the majority are older children. The need for families willing to adopt older children continues to be a growing need everywhere. So if you’re in the area, or willing to make the drive, check it out. Your child might just be waiting….